nnovation is clearly reshaping the health care landscape. A new year began with news of the blockbuster partnership involving Amazon, Berkshire Hathaway and JPMorgan Chase, which has caused endless speculation about whether it will have the same game-changing impact as online shopping did for brick-and-mortar retailers. The trend is extending to third-party administrators whose role is shifting from health claims payer to strategic partner. The chief beneficiary is their self-insured clientele who increasingly will come to expect more than simple service with a smile. “I think disruption breeds opportunity,” says Dave Reynolds, Sr., president of Capitol Administrators, a Lucent Health subsidiary, who has been a part of the TPA community for slightly more than half his roughly 40-year career in the insurance industry. commoditized service, and they’re not really looking to push the envelope on innovation within health care,” he says. Rather than just adjudicate claims, he suggests TPAs need to help their employer clients actually reduce such claims in the first place by driving better health outcomes if they want to stay relevant. That’s happening, he acknowledges, though not on a wide enough scale. For example, some TPAs have layered on top of their basic claims-payment function a risk-bearing entity in the form of their own reinsurance company or strategic partnerships with carriers for greater operational efficiency. Identifying the exact number of TPAs isn’t easy because it depends on how they’re actually defined, according to Rasnick, who says the industry is trying to determine a more accurate measure. An informed estimate places the current number of traditional entities that process medical and dental claims for self-funded single employers at about 200. Another 100 to 150 entities could be added to the mix when counting boutique services such as Section 125, health reimbursement arrangement or Medicare claims specialists. Another ripe opportunity for innovation and transformative results is on the care management side, he adds. Esposito also has noticed a handful of ancillary, consumerbased technologies erupting in the private market to help support TPAs – from wellness platforms to tracking devices and mobile apps. An older estimate that someone sent Esposito pegged the number of TPAs as high as 1,000 to 2,000 if virtually every boutique shop is counted, though he notes that about 80% of the business is done by 20% of the TPAs. The bottom line, according to Esposito, “is any company that’s servicing the health care sector, or at least TPAs, will be technology based.” He says tools of the future will feature a machine learning platform with access to all data and custom-built algorithms that match claims, outcomes, drugs prescribed and doctors seen for predictive modeling. claims far better than legacy systems and providing concierge-type customer service. Such efforts may feature attempts to negotiate discounts, as well as help patients interact with their providers and schedule appointments. Determining a better way to interface with health plan members and encourage action will be a cornerstone of success for TPAs that go the extra mile and embrace health care consumerism, Reynolds says. These steps may include reminding them through text messages or other communication channels about doctor visits, taking medicine or filling scripts. The aim is to offer concierge-like service on the member level featuring one-on-one relationships with a nurse practitioner and patient advocacy. He believes these strategies will help drive down claims, especially for the relatively small portion of covered lives who drive most large claims. “The best discount you’re going to get on a claim is one that didn’t happen,” he explains. Another piece to the puzzle is aggregating the data of small groups to stabilize their volatility and better absorb risk so they can be underwritten as a large group, according to Reynolds. His TPA is doing just that in the cloud and also boasts a huge Medicare databank to help examine claim patterns across that aging population to manage costs and improve health outcomes. Developing better analytical and forecasting tools is expected to help his business stoploss market partners and employer clients conduct a predictive analysis to determine which programs will have the biggest impact. Bentz joined a TPA believing there would be far more opportunities to innovate in that segment. Today she’s a business development executive with Hawaii-Mainland Administrator (HMA), which differentiates itself with integrative technology systems and solutions. The TPA’s more notable services include value-based and reference-based pricing, consolidated invoicing, client-driven teams of concierge account managers, an off-the-shelf pharmacy benefits manager with tiered formularies and heavy presence in the association professional employer organization segment. Other key capabilities include population health management, a customized provider network, internal reporting and compliance function, an information technology system completely built from the ground up and proprietary software. By partnering with a captive solution, HMA can offer self-insurance to small businesses with as few as five covered lives. An ability to trickle that far down the market on a self-funded plan “is why the TPA industry is going to be leading in any health care discussion going forward,” Bentz believes. I’m a TPA who wants to capture market share, I’m going to go after [that market] because that’s where I believe the carriers are vulnerable,” Rasnick opines. Apart from technology, Esposito believes capital markets will play a role in driving innovation and believes financial instruments with “characteristics better than mortgages” will be used over time to amortize claims and reduce the burden on carriers or reinsurance companies, while also expediting payment to providers. “When you marry financing tools at affordable and digestible rates to different entities, you can change the true risk profile of a group and the way that you do the math in underwriting,” he explains. MEET Mike Mr. Grillo joined the Bureau of Captive and Financial Insurance Products in November 2014, he currently serves as a Captive Analyst II. Michael earned his Bachelor of Science Degree in Business Management from West Chester University. He currently holds a Certified Retirement Services Professional (CRSP) designation from American Bankers Association Institute of Certified Bankers. Prior to joining the Department of Insurance, Michael worked in the financial services industry for more than 19 years. His background includes trust and estate administration, institutional custody administration and corporate retirement services management. So what does the future hold for TPAs and their self-insured customers? Esposito predicts a major bifurcation of massive growth with some TPAs and tremendous shifts in market share that favor innovators as more employers transition to a self-funded solution. As part of his vision, TPAs will consolidate as more associations self-fund the health benefits of their members and administrative-services-only (ASOs) contracts continue to gain in popularity. While acknowledging that ASOs occasionally show up on her radar, Bentz notes the potential for conflict of interest when an employer client is contractually bound to use the carrier’s provider network. That ties their hands, she says, when “all they have to do is lease the network to us.” Thus, it could give TPAs a tremendous competitive leg up with independent-minded customers. “Everything that you used to get from your BUCAs, you now get from your TPAs – only you’re paying less for admin,” she concludes. “I don’t think of a TPA as my competitor. I think of the BUCAs as my competitors.” Bruce Shutan is a Los Angeles freelance writer who has closely covered the employee benefits industry for 30 years. o two groups are exactly alike and no one Reference Based Pricing program design is right for them all. That’s why HHC Group starts by learning each group’s objectives and constraints. Then we help design and implement the right Reference Based Pricing program for them. Some want pre-cert and concierge services. Others want just claims repricing or repricing, provider appeal support and patient advocacy. Some want customized models and some provider contracting. We have the experience and expertise to help the group design and deliver the RBP program that’s just right for you. 163 CONTACT US 301.963.0762 sales@HHCGroup.com EXT. hile 2017 was not a year of upheaval in the captive industry, there were many issuesâ&#x20AC;&#x201D;small or tangentialâ&#x20AC;&#x201D;that will have an enduring effect on captives. The PATH Act, major cyber security incidents, a decision in the Avhrami case, and last, but not least, the end-of-the-year tax reform all touched the captive marketplace and could impact the future of captives. Captive numbers continued to grow in the U.S. in 2017 and are forecasted to increase further in 2018, despite the lingering softmarket. While most captive domiciles are reporting gains in captive numbers, captives formed at a slower rate than in 2015 and 2016. With numbers reported by the beginning of last month, North Carolina led formations with 124. Utah, Delaware, and Montana also had a strong showing with 63, 53 and 42 captives formed, respectively. These numbers were driven by large numbers of cell captive formations, an area in which these domiciles lead. Vermont is still the largest captive domicile in the U.S. with 566 active captives, despite having slightly fewer captives at the end of 2017. Last year, eight domiciles updated their captive law—Arkansas, Delaware, Georgia, Illinois, Montana, Tennessee, Texas, and Vermont. For the first time in several years, no new state entered the captive domicile arena. In 2018, so far four domiciles are looking to or have already updated their captive law—Georgia, Kansas, South Carolina, and Vermont—with several more likely to follow. Vermont tweaks its captive law nearly every year, part of the reason that it still leads the captive industry. the IRS was still bearing down on 831(b) captives in the form of Notice 2016-66—in which the IRS labeled them as “transactions of interest” and sought to require additional financial disclosures—and by again naming the subsector to its annual “Dirty Dozen” list. The PATH Act made provisions for inflationary increases and as of January 1, 2018 the IRS, as part of its annual adjustments for inflation, increased the premium limit for Section 831(b) by $100,000 to $2.3 million. As of March, there has been no follow-up to Notice 201666, as the IRS is likely still processing the data it received from 831(b) captives last spring. When the IRS does follow-up, it could prove disruptive to the subsector. Notice 2016-66 stated that the IRS in conjunction with the Treasury Department will decide one of three things after reviewing the requested data: that 831(b) transactions will be removed from “the transactions of interest category in published guidance,” will be designated a “listed transaction”—a tax avoidance scam, or it will be listed as a “new category of reportable transaction.” If either of the second two decisions comes down, it could mean a huge change in management and regulation of 831(b) captives. attack yet the uptake of cyber-related insurance is still well below property, plant and equipment (PP&E) coverage. The findings indicate that companies believe information assets to be slightly higher in value than PP&E, but information assets are underinsured by comparison. More than half the respondents surveyed believed that security threats will increase in the coming years, yet companies are still slow to get adequate coverage. Reasons for not purchasing liability coverage is cost, availability, and too many restrictions/exclusions. All reasons that make captives look like the perfect alternative to traditional insurance for insuring cyber liability. On the other side of the coin, early in 2017, the New York Department of Financial Security (NYDFS) began requiring all NYDFS-regulated entities—including banks, insurance companies, and other financial institutions—to file a Certification of Compliance with NYDFS’ Cybersecurity Regulations office on an annual basis starting February 2018. Companies that are exempted have fewer than ten employees, have less than $5 million in gross revenue, or have less than $10 million in year-end total assets. Most small captives will not be affected by this requirement. Using the NYDFS’s requirements as a model, the NAIC Cybersecurity (EX) Working Group made adjustments to the draft of their own model law that had been in development since 2016. The Data Security Model law is intended to help state insurance departments regulate cyber security. On the whole, it won’t affect very many captives, but it does require risk retention groups to be subject to the regulation. The Cybersecurity Working Group approved the sixth version of the model law last summer and has forwarded it up the committee chain for further approval. It will be several years before the model law is approved and adopted by NAIC member states. Last August, the United States Tax Court released its decision in the case of Avrahami v. Commissioner, a highly anticipated decision regarding captive insurance companies electing to use Section 831(b) of the U.S. Tax Code. The captive industry had long-awaited this decision to set case law for the regulation and management of 831(b) captives. The much-anticipated Tax Cuts and Jobs Act of 2017 was signed into law by President Trump in December. The new law will benefit captives as to their investment income but might make forming a captive less appealing. The Avrahami case revolved around Arizona small business owners Benyamin and Orna Avrahami and their St. Kitts-domiciled captive, Feedback. The Internal Revenue Service considered Feedback’s tax filings as a “micro captive” as invalid and issued a notice of deficiency for nearly $2.5 million in taxes and penalties for taxes filed in 2009 and 2010. The judge in the case found that Feedback did not qualify as an insurance company and was not eligible for the 831(b) election. In a “Captive Thought Leader Video” made for Captive.com, Bruce Wright, partner with Eversheds Sutherland (US), said that the increased reserve discount and decreased tax rate could reduce the benefit of having a captive. The reduced tax benefits will be something that shows up in the cost-benefit feasibility study that is performed prior to establishing a captive. In some cases, companies may decide that captive insurance is not for them, but industry experts believe that there won’t be a large downturn in captive formations as none of the other benefits of owning a captive will be diminished. Because the decision focused narrowly on Feedback’s unique situation, it has not caused any sweeping changes to case law regarding these types of captives. On the whole, the industry was pleased with the decision, but many were concerned that it could strengthen the IRS’s position that captives opting for the 831(b) designation are using it as a tax dodge. While the primary focus of a captive is about self-insuring risk, no one can deny the added benefit of reduced taxes, especially for small and medium-sized captives. Industry insiders are not expecting to see any established and well-functioning captive retire, but there might be a downturn in the number of captives forming. Looking Forward Captives electing the 831(b) tax option were, again, the most controversial sector of the industry in 2017 and, until some guidance is released by the IRS, will continue to be in the line of fire. This, and the reduced tax benefits that come as a result of the Tax Cuts and Jobs Act, might have the effect of reducing small captive formations this year. Nevertheless, the non-tax-related benefits of captives continues to expand. Advocates for the captive industry were quick to advise small captives to revisit their pooling arrangements to be sure that their risk distribution is being used correctly. Since the decision, some small captives have closed shop. However, small captives, primarily cell captives, are still being formed in large numbers. Over the next year, there will likely be more small captives closing down or restructuring as a result of the decision. Enrolling providers, maintaining compliance and managing the process can be time consuming and complicated. With ECHO®, it doesn’t have to be. It’s time you experienced payments simplified. undreds of self-insurance industry executives participated in a first of its kind “Town Hall” session held as part of the SIIA Self-Insured Health Plan Executive Forum that took place last month in Charleston SC, and many interesting opinions were shared. These opinions were solicited and collected anonymously in real time via audience polling technology in response to a series of industry and association-related questions presented by SIIA President & CEO Mike Ferguson. And while clearly non-scientific, these responses collectively provide a glimpse into who make up the self-insurance industry and what the thinking is about timely issues, opportunities and concerns. Participation was roughly evenly divided between TPAs, stop-loss carriers/MGUs and vendors. There was significant industry experience in the room, with 77% of respondents indicating at least of decade of experience, and many of them have no plans of finishing up their careers any time soon – more than half saying that retirement is at least 15 years away, if ever. In terms of political affiliation, the breakdown was 61% Republican, 17% Independent, 13% Democrat, 5% Libertarian and 3% Other. With these basic audience demographics established, the questions turned to a variety of industry matters and were presented to the group at a rapid pace with aggregated answers displaying in real time on two large screens in the front of the room. As expected, some polling results were more interesting than others and we’ll highlight several them as part of this recap article. Despite the amount of general uncertainty in the health care marketplace today, the audience was overwhelmingly optimistic about the future of the self-insurance industry, with 93% saying they viewed it as very or mostly positive over the next three to five years. That optimism is tempered a bit over a longer time horizon, with 84% expressing optimism six to 10 years in the future. When asked about how the Affordable Care Act (ACA) has affected their business, 63% said that it had a “mostly positive” or “somewhat positive” effect on their business. Another 23% responded that their businesses had been negatively impacted by the health care law, with 15% reporting no impact. With those responses noted, the audience was split roughly even on whether they would like to see the law repealed and replaced. the minimum number of employees a company should have in order to be a viable candidate for self-insurance and 10 was the leading answer, followed by 15, 25 and 50. In a somewhat surprising result, 52% of respondents indicated that they believed there are “partially self-insured” health plans. The group was divided on whether minimum essential coverage (MEC) plans are good or bad for the industry, as well as on the same question relating to level-funded plans. When asked about which strategies/approaches had the greatest potential to achieve significant health plan cost savings, participant engagement narrowly beat out PPO alternatives as the top choice, 34% to 32%. Specialty drug management was chosen by 18% of the audience. Conversely, domestic and international travel were identified as strategies/approaches least likely to achieve significant health plan cost savings, with 69% of the audience picking one or both of these answers. There were several polling questions related to reference based pricing, given that this continues to be a major topic of discussion within the industry. In somewhat contradictory answers 60% said they do not think RBP could be harmful to the industry, yet in the next question that asked “How RBP could be harmful to the industry,” 60% identified balance billing. Hospital/facility access was another top concern with a 31% responses. Large majorities predicted that providers will push for new RBP regulation and that SIIA should defend against such regulation. In response to the last RBP question, 76% of respondents answered “yes” when asked if SIIA should collaborate with the provider community in an attempt to establish commonly accepted RBP arrangements. Turning attention to stop-loss carrier/MGU business practices, the vote was closely split on whether MGUs are less likely to pay claims versus direct carriers. More than three quarters of the audience believed an “incurred date” is better than “paid date” when considering the eligible stop-loss reimbursement claims. Slightly more than half the audience indicated they were involved with stop-loss captive programs. And when asked about their predictions of potential market growth over the next three years, the consensus was that there would be moderate growth, with that option receiving 64% of the vote. There’s been a lot of attention about recent DOL actions intended to create federallyregulated self-insured association health plans so the group was asked how they assessed what AHP market would look like should such structures become viable. Nearly half the audience predicted the AHP market place would be “large and growing,” while a third of respondents expected “moderate formation activity” with limited growth potential. Just over 10 percent assessed minimal interest. When asked about the future of TPAs and potential existential threats, government regulation edged out BUCO competition, 67% to 65% (audience could choose multiple answers). Technology upgrade requirements and succession planning challenges were also identified as threats by many in the audience. Capital Group Principals at Work. In a related question, slightly more than half of the respondents said that SIIA should prioritize its advocacy efforts to promote necessary AHP regulatory changes. Another 29% believe this should be a “moderate” SIIA priority. About one of five in attendance expressed that this should be a low priority or had no opinion. The last round of questions centered on SIIA activities and initiatives. To begin with, attendees were asked whether they would like to return to the Belmond Charleston Place Hotel and the answer was a resounding “yes,” with nearly nine in 10 saying they would like to be back. Then attendees were polled on other cities they would like SIIA to consider, with the top responses including Nashville, Chicago, New Orleans and San Diego. Since SIIA offers many membership services, the association wanted to know what services were valued the most, so attendees had the opportunity to choose all response options that they considered valuable. Nearly 100 percent chose conferences/ networking events, with 70% picking federal government relations and 59% saying state government relations was an important service. In 2017, Ansley Capital Group, through its FINRA registered broker-dealer Ansley Securities, advised some of the most well-respected entrepreneurs in the self-funded insurance market on their partnerships with strategicly focused private equity funds. The SIEF Board would like to thank the participants in their always popular golf tournament, held in conjunction with SIIAâ&#x20AC;&#x2122;s Self-Insured Health Plan Executive Forum at RiverTowne Country Club. Fast forward to last month when Thompson saw a majority of SIIA members attending a “Town Hall” meeting at the Self-Insured Health Plan Executive Forum in Charleston SC support the organization’s continuing pursuit of federal regulations that would allow AHPs to operate nationally. “It was a good idea twenty-one years ago and it still is,” Thompson says. Last fall a Presidential Executive Order directed federal agencies to guide formation of fully-insured and self-insured AHPs serving employer groups and self-employed individuals that would be able to expand affordable employee health plans in multiple states. •	Self-insured MEWAs offer quality and affordable coverage; •	Such an exemption will promote healthcare choice and competition; •	A class exemption will not put at risk the appropriate regulatory oversight of self-insured MEWAs. •	Self-insured MEWAs already provide adequate consumer protections. SIIA also advised that actuarial soundness and underwriting practices should be put in place in developing the Request for Information (RFI) that is a precursor to a potential future rule-making process and can influence final AHP regulations. Further comments or questions are invited by Ryan Work, SIIA Vice President of Federal Government Relations, at rwork@siia.org. Mind over risk. That’s how we properly assess risk – enabling our clients to focus on their businesses. We provide innovative stop loss solutions to protect self-funded employers from potentially catastrophic losses and flexible captive solutions that range from fronting and reinsurance arrangements to our turnkey stop loss program. We offer specialized solutions for specialty markets, including Taft Hartley and multiemployer organizations. We also offer organ transplant carve-out coverage to self-funded plans. Our clients have been benefiting from our expertise for over 36 years. To be prepared for what tomorrow brings, contact us for all your medical stop loss and organ transplant insurance needs. RRGs Report Net Income in Third Quarter 2017 This article originally appeared in Demotech’s “Analysis of Risk Retention Groups – Third Quarter 2017” Written By Douglas A. Powell, Senior Financial Analyst, Demotech, Inc.
review of the reported financial results of risk retention groups (RRGs) reveals insurers that continue to collectively provide specialized coverage to their insureds while remaining financially stable. Based on reported financial information, RRGs have a great deal of financial stability and remain committed to maintaining adequate capital to handle losses. It is important to note that ownership of RRGs is restricted to the policyholders of the RRG. This unique ownership structure required of RRGs may be a driving force in their strengthened capital position. conditions or increased losses. The level of policyholders’ surplus becomes increasingly important in times of difficult economic conditions by allowing an insurer to remain solvent when facing uncertain economic conditions. In evaluating individual RRGs, Demotech, Inc. prefers companies to report leverage of less than 300 percent. Leverage for all RRGs combined, as measured by total liabilities to policyholders’ surplus, for third quarter 2017 was 151 percent. The loss and LAE reserves to policyholders’ surplus ratio for third quarter 2017 was 103.4 percent. The higher the ratio of loss reserves to surplus, the more an insurer’s stability is dependent on having and maintaining reserve adequacy. Liquidity, as measured by liabilities to cash and invested assets, for third quarter 2017 was 68.4 percent. A value less than 100 percent is considered favorable as it indicates that there was more than a dollar of net liquid assets for each dollar of total liabilities. Regarding RRGs collectively, the ratios pertaining to the balance sheet appear to be appropriate and conservative. Loss and loss adjustment expense (LAE) reserves represent the total reserves for unpaid losses and LAE. This includes reserves for any incurred but not reported losses as well as supplemental reserves established by the company. The cash and invested assets to loss and LAE reserves ratio measures liquidity in terms of the carried reserves. The cash and invested assets to loss and LAE reserves ratio for third quarter 2017 was 213.5 percent. These results indicate that RRGs remain conservative in terms of liquidity. The DPW to policyholders’ surplus ratio for RRGs collectively through third quarter 2017 was 76.2 percent. The NPW to policyholders’ surplus ratio for RRGs through third quarter 2017 was 45.6 percent. Please note that these ratios have been adjusted to reflect projected annual DPW and NPW based on third quarter results. An insurer’s DPW to surplus ratio is indicative of its policyholders’ surplus leverage on a direct basis, without consideration for the effect of reinsurance. An insurer’s NPW to surplus ratio is indicative of its policyholders’ surplus leverage on a net basis. An insurer relying heavily on reinsurance will have a large disparity in these two ratios. RRGs collectively reported nearly $2.8 billion of direct premium written (DPW) through third quarter 2017, an increase of 3.5 percent over third quarter 2016. RRGs reported nearly $1.7 billion of net premium written (NPW) through third quarter 2017, an increase of approximately 1 percent over third quarter 2016. Since RRGs are restricted to liability coverage, they tend to insure medical providers, product manufacturers, law enforcement officials, and contractors, as well as other professional industries. A DPW to surplus ratio in excess of 600 percent would subject an individual RRG to greater scrutiny during the financial review process. Likewise, a NPW to surplus ratio greater than 300 percent would subject an individual RRG to greater scrutiny. In certain cases, premium to surplus ratios in excess of those listed would be deemed appropriate if the RRG had demonstrated that a contributing factor to the higher ratio is relative improvement in rate adequacy. In regards to RRGs collectively, the ratios pertaining to premium written appear to be conservative. Do you aspire to be a published author? Do you have any stories or opinions on the self-insurance and alternati ve risk transfer industry that you would like to share with your peers? 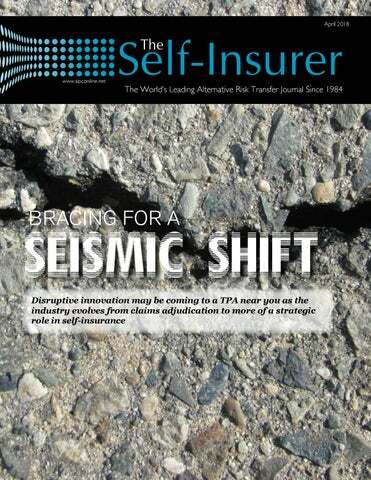 We would like to in vite you to share your insight and submit an article to The Self-Insurer ! Income Statement Analysis RRGs collectively reported a $9.8 million underwriting loss through third quarter 2017. However, RRGs collectively reported a net investment gain of nearly $210 million and a net income of $173.5 million. Also of note, RRGs have collectively reported a net income at each year-end since 1996. The loss ratio for RRGs collectively, as measured by losses and loss adjustment expenses incurred to net premiums earned, through third quarter 2017 was 74.7 percent. This ratio is a measure of an insurerâ&#x20AC;&#x2122;s underlying profitability on its book of business. The expense ratio, as measured by other underwriting expenses incurred to net premiums written, through third quarter 2017 was 19.9 percent. This ratio measures an insurerâ&#x20AC;&#x2122;s operational efficiency in underwriting its book of business. distributed in a digital and print format to reach over 10,000 readers around the world. The Self-Insurer has been delivering information to the self-insurance /alternative risk transfer community since 1984 to self-funded employ ers, TPAs, MGUs, reinsurers, stoploss carriers, PBM s and other service providers. The combined ratio, loss ratio plus expense ratio, through third quarter 2017 was 94.6 percent. This ratio measures an insurer’s overall underwriting profitability. A combined ratio of less than 100 percent typically indicates an underwriting profit. Douglas A Powell is a Senior Financial Analyst at Demotech, Inc. Mr. Powell supports the formulation and assignment of Financial Stability Ratings® by providing analysis of statutory financial statements and business information. He also performs financial and operational and peer group analyses, as well as benchmark studies for client companies. Email your questions or comments to dpowell@demotech.com. Regarding RRGs collectively, the ratios pertaining to income statement analysis appear to be appropriate. Moreover, these ratios have remained within a profitable range. Conclusions Based on Third Quarter 2017 Results Despite political and economic uncertainty, RRGs remain financially stable and continue to provide specialized coverage to their insureds. The financial ratios calculated based on the reported results of RRGs appear to be reasonable, keeping in mind that it is typical and expected that insurers’ financial ratios tend to fluctuate over time. For more information about Demotech visit www.demotech.com. The results of RRGs indicate that these specialty insurers continue to exhibit financial stability. It is important to note again that while RRGs have reported net income, they have also continued to maintain adequate loss reserves while increasing premium written year over year. RRGs continue to exhibit a great deal of financial stability. Drowning in A Sea of Paper Written By: Tim Callender, Esq. •	Does the plan document contain benefit carve outs that fly in the face of a network contract? •	Is the plan document written before the current plan year is even over? •	Was the plan document compared to the relevant stop-loss policy to look for coverage / reimbursement gaps? Summary of Benefits and Coverage (SBC) – Thank you Affordable Care Act! As we all know, health insurance is confusing and saturated with paperwork. Well, thankfully the ACA saw fit to “simplify” health coverage by requiring, yes, you guessed it, more paperwork! Better hope your SBC lines up with your SPD or you might be SOL with the DOL while listening to OPP in the LBC. •	Was the benefit structure of the Plan fully finalized before issuing pre-enrollment SBCs (in other words, how many people have pushed SBCs out, just to “get them done,” while recognizing that the benefit structure of the plan document is likely to change by the time it is finalized?). •	Is there a clear alignment in the contracting (and the plan document!) regarding which entity might handle / administer claims and appeals for particular Rx benefits? – Has the language in the plan document, as required by the PBM, been reconciled with the Plan’s stop-loss policy, network agreement, and/or SBC? •	How many parties are expected to be bound by a particular network agreement? •	Are there inconsistencies in how particular benefits should be paid as laid out between the network agreement and a plan’s governing plan document? •	Is the Plan administering a reference-based pricing program, and, if so, have network obligations been taken into account? •	Have all vendor contracts, and their roles, as related to the administration of a plan, been reconciled against the roles and responsibilities of the plan, as laid out in the network contract? •	Are there inconsistent medical management criteria as laid out between the plan document, the network contract, the PBM contract, and other documents? •	Are all vendors mentioned and/ or properly referenced within the ASA? •	Are the benefit payment timelines (and appeal timelines), as between the plan document and the Network Agreement, cogent so as to assure the Plan is not losing a network discount or risking a prompt-payment Network Agreement breach term? •	Pretty much everything I’ve written above, plus this one, often forgotten gem: gaps that might exist between a plan document and an employer-sponsor’s employee handbook, related to leave of absence provisions, which may lead to eligibility issues and subsequent reimbursement denials at the stop-loss level. Administrative Services Agreement (typically with a TPA or a carrier on its ASO platform) – This document can tend to be the “unifier” or the “great divider.” So many solutions and pieces that make up a self-funded plan all fall together in the ASA. This document is key. I’ll say it again, KEY. scope of duties and responsibilities in a way that mirrors the intent of the Plan and as reflected in all other governing plan documents? •	As discussed above, have the handbook, plan document, and stop-loss policy been “bounced together” to assure there are no issues that might result in valid reimbursement denials? •	Leave of absence provisions and plan document eligibility provisions… Plan Amendments – I had a dream once, about a Plan that had not had its plan document restated in 8 years, and, during that time, the Plan Sponsor had amended the plan 16 times. All amendments existed as separate documents, referencing one another from time to time, and, oftentimes, referencing various vendors that no longer worked for the Plan. Then, the Plan Sponsor came to me and hired me in November to restate the plan for a January 1 kick off. I woke up screaming. That kept me up at night. Notifications (of material modification; open enrollment; HIPAA privacy notifications; etc.) – While many of these may not need to line up with a plan’s specific benefit grid, network alignment, or the definition of “maximum allowable,” you can easily see how a bit more paperwork, directly impacting the member’s understanding of a plan, can be cumbersome and can easily cause confusion if not handled carefully, especially when bundled into an envelope (or email) containing a plan document and an SBC! Miscellaneous Vendor Contracts – Take everything discussed above and add in a few more. Time to turn up the volume! Tim serves as the Vice President of Sales and Marketing for The Phia Group, LLC. Prior to his current role, Tim served as a health care lawyer, staff attorney and lead PACE counsel for The Phia Group. Tim received his Bachelor’s Degree from The College of Idaho, prior to obtaining his Law Degree from The University of San Diego School of Law. Tim operates out of The Phia Group’s office in Boise, Idaho. All the above is enough to strike fear into the heart of the most diligent and thorough paper pushing accountants, advisors, and attorneys. But, it is the price of admission and a piece of our business that we should be aware of and work through carefully. As a best practice, every Plan Sponsor should engage in expert gap reviews of all documents and should do so on a routine basis. To conclude, and hopefully provide some closure and definition to my thoughts, I will leave you with this: our industry is complicated. There is no denying it. Let’s acknowledge it, be willing to criticize it, and even be willing to poke fun at it. But, at the end of the day, let’s recognize that our industry – our platform – is the best. So, we owe it to each other, as stakeholders in this space, to work hard to accomplish the goal of aligning the documents that govern the administration of a self-funded health plan. Should the first and foremost guardian of this alignment be the Plan Sponsor? Absolutely – and with expert guidance! We are all in this together and should strive to achieve harmony in a Plan’s governing documents, wherever possible, together. All boats rise. IIA’s Annual Self-Insured Workers’ Compensation Executive Forum, May 15-17th at the Belmond Charleston Place in Charleston, South Carolina is the country’s premier association sponsored conference dedicated exclusively to self-insured Workers’ Compensation. In addition to a strong educational program focusing on such topics as excess insurance and risk management strategies, this event will offer tremendous networking opportunities that are specifically designed to help you strengthen your business relationships within the selfinsured/alternative risk transfer industry. The conference will kick off with a First Time Attendee Meet N Greet. This informal gathering is a great way to meet SIIA’s Workers’ Compensation volunteer leaders and network with other first-time attendees. Find out everything you need to know to make the most of your time during the conference. WC Conference 101: What I Wish I Would Have Known with Kristina Brooks, President/ CEO of Innovative Insurance Solutions LLC, Sally Pace, CEO of Connect Healthcare Collaboration, LLC and Mike Zucco, Business Development of AL Trucking Association Fund As you start your path at the conference, don’t miss this session to lay your foundation. You’ll hear from newcomers and seasoned veterans alike on what they wish they had known as they began this journey. We’ll cover the basics of what to look for when launching a workers’ comp program, along with how to get the most out of the sessions to help set you up for success. Conference Kick-Off with Mark Pew, Senior Vice President of PRIUM In order to set the stage for the collaborative and inclusive learning environment expected at this conference, we’ll kickoff the event with an interactive session. Separated into small group tables moderated by SIIA Work Comp committee members and facilitated by Mark Pew, learning relationships will be established to ensure what is discussed by the subsequent speakers will be relevant and actionable. Assuming that small group members are from different industries and even have different perspectives, we will use outlines of the coming content to stoke the fires of what the takeaways could be. Have you ever wondered if you should form a Captive? Or if you have a Captive, are you maximizing it’s benefits and opportunities it may afford you? Courtney Claflin, Executive Director of the University of California’s Captive, Fiat Lux, will present a Captive primer that will provide a background on the formation and use of Captive’s for selfinsured’s. He will also present a case study of how the University effectively used their Captive to re-engineer their risk financing model, produce cost savings, and expand and provide new coverages to one of the largest higher education systems in the country. Contact GBS today at sales@gbsio.net to find out more. 20 Years of a Construction SIG with Stu Thompson, CEO of The Builders Group From startup to growth to decline to prosperity. What lessons were learned so you may avoid them and the characteristics of a successful SIG are the takeaways from this session. This session will highlight the 20 years The Builders Group of Minnesota - a construction SIG - has been in business. From its modest beginning to explosive growth to overcoming the Great Recession to a financially strong SIG. Highlights will include the importance of a strong Board of Directors, dealing with regulators, the need for professional investment policy oversight, the importance of outside vendors, and the value of getting involved with a professional organization. Addiction to Pain: A Journey Out with Fernando Branco, M.D., Chief Medical Officer of Midwest Employers Casualty Company, Becky Curtis of Take Courage Coaching and Alice Fleenor, Coach at Take Courage Coaching The search for relief from incapacitating pain takes many down a road that ends in a swamp of misery. We throw money at the problem with limited positive effect. Physicians have been blamed for the over-prescription of opioids, often justified, but they use the common tools at their disposal. The pharmaceutical industry realizes significant profit margins from these medications. Are they the bad guys? Bottom line is that we want solutions for our health issues and they provide one type of solution, that’s their business. What can we do to control the situation? This session will focus on one road out of that swamp. We have a challenge in our modern world – the culture of victimhood is pervasive. Why a Good Telemedicine Solution Can Positively Impact Your WC Program with Elisha Krempetz, Vice President of Concentra Have you wondered what telemedicine/telehealth is and why you should include it as another tool in your program? In this informative session, you will find out that it is, what you need to look for in a good solution, what an employer has to do to make a telemedicine solution successful and the key things make for easy billing/reporting/measuring outcomes. Catastrophic Case Management with Michael Choo, MD, Chief Medical Officer at Paradigm Outcomes and Kevin Confetti, Deputy Chief Risk Officer of the University of California Although the most costly, catastrophic cases can be the easiest to manage because the nature of the injury lends to the tendency to just say “yes”. But are you saying “yes” to the right things? How do you know? What information and analysis are you using to substantiate saying “yes”? Kevin Confetti, Deputy Chief Risk Officer of the University of California, will present a case study of the Catastrophic Case Management Program the University uses through Paradigm Outcomes. Through the use of actual case examples, learn how the University has utilized this program to produce excellent outcomes in the management of their catastrophic injuries. The Not-To-Be Missed Wrap-Up with Mark Pew, Senior Vice President of PRIUM At the end of the conference, we’ll reconvene the small groups from the kickoff and talk about what was indeed learned from the content and any action items that can be shared. It will be a summation of what has occurred throughout the event. For more conference information, including registration and hotel information, please visit www.siia.org. First 90 Days Starting with Safety with Shelly Brotzge, CPCU, ARM-P, CWCC, Senior Client Advisor - Group Self Insurance at Midwest Employers Casualty Whether it’s filling a position vacated by a former employee or expanding staff for a growing organization, bringing a new employee into the workplace presents safety and workers’ compensation challenges that must be addressed from the first days on the job. The workforce will continue to change as current staff retire and new workers come in to the workforce. Technology will affect how job tasks are performed prompting opportunities for new and existing workers. The one thing that will not change is the need to keep workers safe from work-related injuries and illness. To be effective, safety must be addressed early, often, and become part of the organization’s culture. eliminate the noise As one of the nation’s first stop loss carriers, we bring a level of expertise and plan design flexibility most carriers can’t match. We’re known for writing clear, user-friendly policies that mirror the plan document and for following through on our promises, paying claims on, or ahead of, schedule—even the large and catastrophic ones. It’s all part of our goal to ensure there are no surprises, no gotchas, no noise. Connect to a smarter HSA We make HSAs so easy that choosing the right partner is exceedingly simple. As your partner, we provide you with the healthcare solutions, products and customer service you need to reach your goals. Diamond Members Sun Life Launches an Exciting New Partnership with Collective Health Sun Life launched an exciting new partnership with Collective Health, an innovative healthcare technology company with an advanced digital workforce health management system designed for employers who self-fund their employee health plans. Collective Health and Sun Life will offer employers a seamless experience by integrating stop-loss insurance into the platform and collaborating on data analytics to provide employers with more opportunity to manage risk and keep healthcare costs down, and give employees a better healthcare experience. Industry data show 60 percent of workers in the U.S. are covered by self-funded medical plans. More employers are continuing to convert from fully insured plans. The Sun Life/ Collective Health partnership is a major step toward bringing this growing sector innovative ways to administer their employee benefits, effectively manage risk, drive down costs, and maintain the protection of stop-loss for high-dollar claims. Learn more at sunlife.com. Appoints Edward Murphy as Regional Sales Manager Berkley Accident and Health, a Berkley Company®, has appointed Edward Murphy as Regional Sales Manager for its rapidly growing Stop Loss business. In his new role, Ed will be responsible for business development and existing relationships in the upper Midwest region of Illinois, Indiana, Ohio, and Wisconsin. “Ed brings knowledge of both the Stop Loss business and TPA operations to Berkley Accident and Health, and we are excited to have him join our team,” said Christopher Brown, President and CEO. “Ed’s background will directly benefit our distribution partners and policyholders, as they navigate the increasingly complex world of employee benefits,” continued Brown. Prior to joining Berkley Accident and Health, Ed held successful sales and leadership positions at two national third-party administrators (TPAs), where he made longlasting connections in the Midwest area. He was also responsible for claims and customer service at a large managed care organization. This diverse background has made Ed highly skilled at uncovering clients’ needs and customizing the right solutions to best meet those needs. Ed Murphy will be based out of the company’s Chicago, IL office. About Berkley Accident and Health Berkley Accident and Health is a member company of W. R. Berkley Corporation, a Fortune 500® company. Berkley Accident and Health provides an innovative portfolio of accident and health insurance products. It offers four categories of products: Employer Stop Loss, Group Captive, Managed Care (including HMO Reinsurance and Provider Excess), and Specialty Accident. The company underwrites Stop Loss coverage through Berkley Life and Health Insurance Company, rated A+ (Superior) by A.M. Best. on the growth of Milliman’s stop-loss management and employee benefits businesses. Prior to Milliman, Khoja spent 13 years with Mercer Health and Benefits as a principal and actuary, most recently serving as Central Market Stop Loss Center of Excellence leader and an employee benefits consultant to a range of mid-market employers. Khoja is a frequent conference speaker on stop-loss marketplace issues and the author of multiple industry survey reports. “I could not be more pleased to have Mehb join MRM’s leadership team,” said MRM Chairman Mike McLean. “Mehb’s impressive background is deeply rooted in understanding both the client and carrier sides of the medical stop-loss equation. His expertise will be especially valuable to MRM clients in today’s fluid healthcare environment as employers continue to look for solutions to help them efficiently manage employee benefit costs.” Khoja received a Bachelor of Arts in actuarial science and finance from the University of Illinois at Urbana-Champaign. He is a Fellow of the Society of Actuaries and a Member of the American Academy of Actuaries. Symetra Financial Corporation acquired Medical Risk Managers, Inc., in May 2007. MRM operates independently of Symetra’s stop-loss business, underwriting self-funded business for multiple partners. Medical stop-loss insurance coverage helps protect employers that selfinsure their employee benefit plans against large, potentially catastrophic claims. Medical Risk Managers, Inc. is a full-service managing general underwriting and consulting firm that specializes in group stop-loss insurance. Founded in 1984, the South Windsor, Connecticut-based company provides clients with underwriting, actuarial, stop-loss claim adjudication, network evaluation, accounting support and strategy consulting. For more information, visit www.mrm-mgu.com. 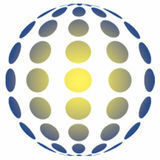 About Symetra Symetra Financial Corporation is a diversified financial services company based in Bellevue, Washington. In business since 1957, Symetra provides employee benefits, annuities and life insurance through a national network of benefit consultants, financial institutions, and independent agents and advisors. For more information, visit www.symetra.com. •	employee investment •	work-life balance •	growth opportunities With experience dating back to 1985, PBA has dedicated our growth and success to our outstanding team and core values: Trust, Commitment, Team Work, Communication, and Integrity. We are privately owned and here to stay. Come join the PBA team and be an exciting addition to our innovation and success! Visit www.pbaclaims.com. About PBA Based in Oakbrook, Illinois, Professional Benefits Administrators (PBA), is one of the leading third-party administrators in the industry. Simply put, we specialize in managing our clients benefits and claims so they can manage their business! Our driving force is to empower our customers to navigate the complex healthcare system and exceed their expectations. Gold Members Zurich Insurance again named one of the Top Companies for Executive Women by the National Association for Female Executives Zurich Insurance has been named one of the 2018 Top Companies for Executive Women by the National Association for Female Executives (NAFE). The award recognizes American corporations where women have significant clout to make the decisions that affect their company’s future and its bottom line. It’s the third consecutive year Zurich has earned this honor. “We are honored to again be recognized by NAFE as a top company for executive women. Zurich believes having a diverse workforce drives better outcomes, inspiring confidence in our employees and our customers to help them reach their full potential,” said Kathleen Savio, CEO of Zurich North America. on the Board of Directors and be a public or private company. NAFE also separately names the Top 10 companies in the nonprofit sector. The full report on this year’s winners is online here. About Zurich Zurich Insurance Group (Zurich) is a leading multi-line insurer that serves its customers in global and local markets. With about 53,000 employees, it provides a wide range of property and casualty, and life insurance products and services in more than 210 countries and territories. Zurich’s customers include individuals, small businesses, and mid-sized and large companies, as well as multinational corporations. The Group is headquartered in Zurich, Switzerland, where it was founded in 1872. The holding company, Zurich Insurance Group Ltd (ZURN), is listed on the SIX Swiss Exchange and has a level I American Depositary Receipt (ZURVY) program, which is traded over-the-counter on OTCQX. Further information about Zurich is available at www.zurich.com. About NAFE The National Association for Female Executives (NAFE), founded in 1972, serves 20,000 members nationwide with networking, tools and solutions to strengthen and grow their careers and businesses. Working Mother magazine publishes the annual NAFE Top Companies list. NAFE.com provides up-to-date information, a community for women in business, and access to member benefits. NAFE is a division of Working Mother Media, owned by the Bonnier Corporation. that enhances the whole process for PBM, TPA, health plans and employer groups letting you take control of your pharmacy beneﬁt. Our sophisticated platform helps you prevent claim errors at the source; increasing your long term proﬁtability. Experience the beneﬁts of clinical controls. Discover our platform today. Take a look at our tour dates and discover why we are revolutionizing the PBM industry.